I loooooove spooky kid shows so I was really excited to see Spooksville on Netflix! It's a mix of Are You Afraid Of The Dark?, Goosebumps, R.L. Stine's Haunting Hour, plus some Goonies thrown in! However, it is not an anthology series, and instead it follows three teens in their fight against the dark forces at work in their small town of Springville, aka Spooksville, leading them on daring adventures. This is a really great show full of quirky characters, fantastic monsters/creatures/creepy-crawlies/witches, really cool special FX, unique episodic storylines and an engaging wrap-around story! I was hooked from the moment I started watching and binge-watched the whole season one that's currently streaming on Netflix. The show is based on Christopher Pike's line of young adult books of the same name. I was thrilled to see Pike's name since I devoured Pike's books as a kid, along with the books of R.L. Stine and Stephen King. I always thought Pike's books were more mature than Stine's (and therefore more thrilling), and I really like how well they translated to the screen. His protagonists always felt more real to me than Stine's sometimes cartoonish characters, and in this show I love the dynamic of the trio of friends and how genuine it feels. The actors did such a fantastic job in keeping the audience rooting for them, which I know sounds weird for a kid's show, but that's what makes the show so great even for adults to watch! 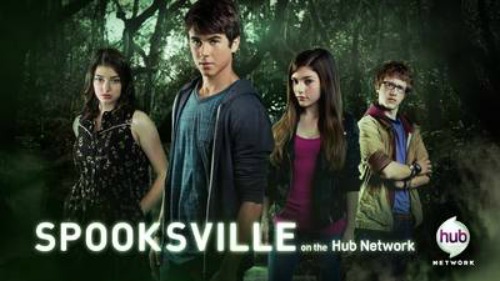 The Hub Network (never heard of it, but then again I don't have cable) premiered Spooksville back in October 2013, and it looks like there is currently only one season of it available (boo). I'm keeping my fingers crossed that this show gets picked up again (according to Spooksville's Facebook page, there is talk that Netflix may pick it up for more seasons if it performs well, so go check it out now!!). You can watch season one of Spooksville now on Netflix streaming! If you don't have Netflix, you can also purchase it on Amazon! Trader Joe's has been rolling out some fantastic new vegan products lately! It seems that every time I make a trip to one of their stores I end up scoring some new vegan food item to try. Lately, I've discovered some exceptional new snacks from TJ's, which I wanted to share here with you. 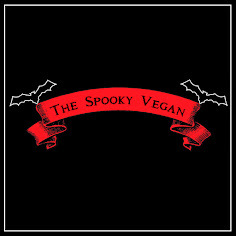 From drinks to cookies to popcorn to breakfast breads to dessert hybrids, there are lots of great new vegan snacks I've been drooling over lately. Halloween 2015 at HomeGoods, Round 2! I didn't attend ScareLA this year, but one of the main reasons I wanted to go was to secure Rhode Montijo's UNITED Halloween flag! I've loved this design (prints are available, too!) since it premiered at 2014's Comic Con, so I was chompin' at the bit to get my grubby little hands on the physical flag version so I could fly my Halloween freak flag proudly! Unfortunately, the flag sold out the very first day at ScareLA...womp womp. But fear not! Due to its overwhelming popularity, Mr. Montijo has decided to reprint it! The resurrected UNITED Halloween flag is available now for pre-order ONLY until August 20th, so order yours while you still can! 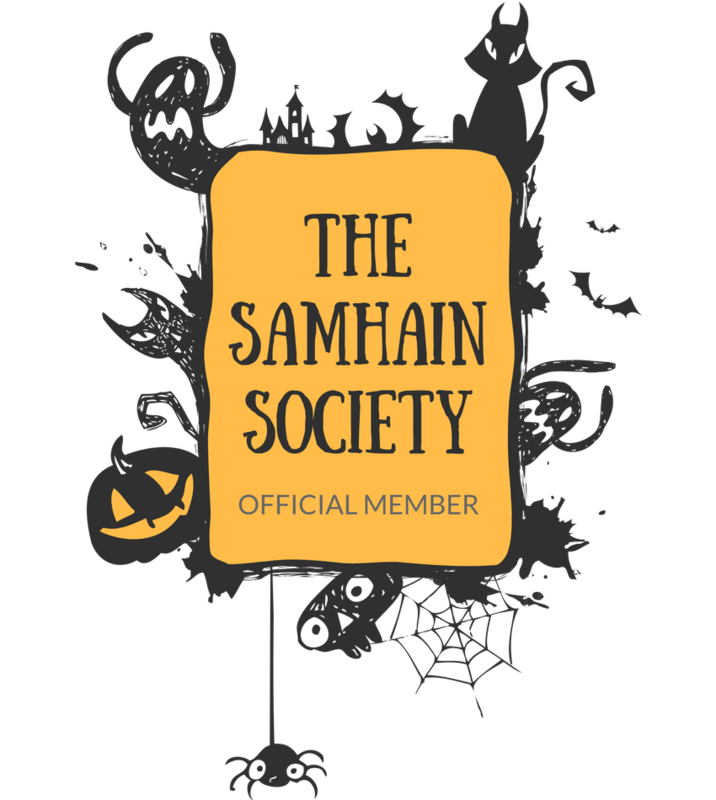 Halloween 2015 at TJ Maxx/HomeGoods! Finally made it into TJ Maxx's HomeGoods today to check out all their Halloween offerings! 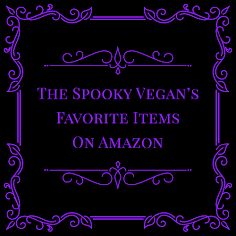 Let me tell you, I was so excited to check out their Halloween offerings that I had nightmares last night about not finding anything or people stealing the stuff I found there! I think it's safe to say I definitely have Halloween on the brain, ha! 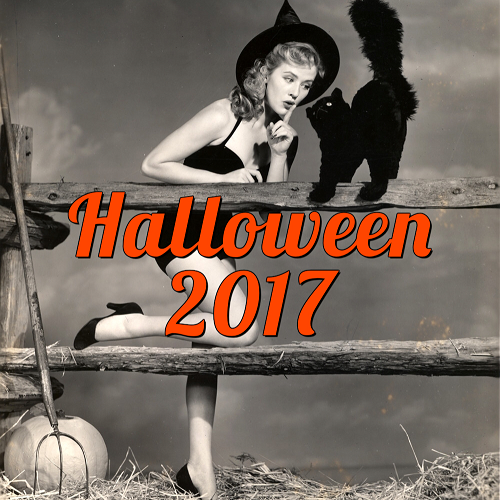 Sur La Table Halloween 2015! Creep is an odd, unsettling little film that hit Netflix streaming recently. It is a mix of dark comedy, horror, and quirk that might not work for everyone, but I had a great time watching this movie. It starts off with a videographer named Aaron (played by Patrick Brice, who also directed and co-wrote the film) answering a Craigslist ad for a one-day job that'll pay $1,000 in a remote mountain town. He videotapes his drive to get there, but when he arrives no one seems to be around. The person who placed the ad finally pops up (quite literally), introduces himself as Josef (played by Mark Duplass, who also co-wrote). He explains to Aaron that he has incurable cancer and wants to be filmed for the whole day so his unborn son can see who his dad was. He tells Aaron to keep filming everything, no matter what - and then things take an awkward and eventually sinister turn. Crate and Barrel Halloween 2015! OMG, Crate and Barrel's Halloween selection this year is on point!! I've been waiting for them to post their 2015 collection and online, and it is now up! Like Pottery Barn, I usually covet ALL the stuff they release for Halloween, but sadly don't have the space or the money to have it all. Still, I can dream (and blog about it), right?! They brought back a few items from last year (which I still want, BTW), but they have lots of fun new things, including lots of batty merch I'm squealing over! I haven't had a chance to make it out to a Pier 1 Imports store yet, but I hear that they have their Halloween decor out! To be honest, I usually don't find much I like at Pier 1 (there is always far too much glitter and cutesy decor for my liking), so instead of visiting a store I decided to take a look at their new seasonal items online. Most of the stuff I liked is actually only available online, so I'm glad I checked before making the trek out to a store. 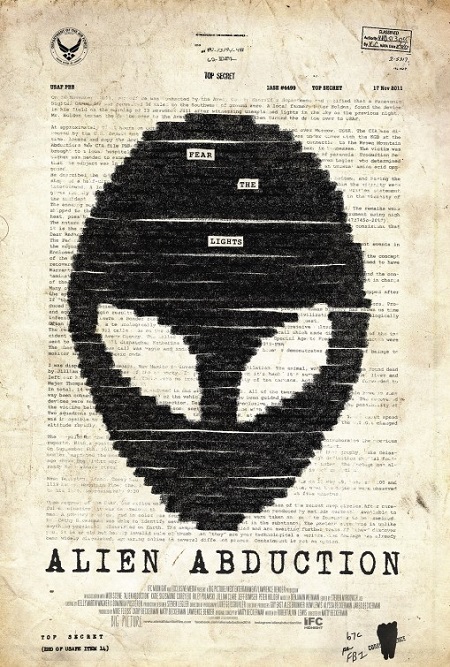 I've been on a big alien kick lately, but I totally bypassed Alien Abduction on Netflix countless times because it looked just so...generic! Everything from the bland title to the film poster just makes it seem like another run-of-the-mill horror movie, but when I saw that it had a pretty high star rating I decided to give it a chance. Synopsis: An 11-year-old autistic boy uses a camcorder to document his family's ill-fated camping trip and subsequent encounter with malevolent aliens. I love these Dia de los Muertos-inspired dishes and serving tray! Psssssst! Cost Plus World Market posted a sneak peek of their Halloween 2015 items, and it looks like they will be bringing back a few favorites as well as debuting some rad new spooky items! On their site I saw their popular Frankenstein's Monster and Bride merch returning and tons of really cool Dia de Los Muertos tableware, too! I found the bat lights! I visited Michael's a few weeks ago when their Halloween section was just bare bones (see pics here), but yesterday I headed back to find that they had about 90% of all their Halloween goodies out! Woo hoo! The only things they didn't seem to have stocked yet were their Halloween scrapbooking items and their autumn-scented candles and accessories. I'll have to go back again for those!